Description NeonRider is a fast paced reflex driving game. 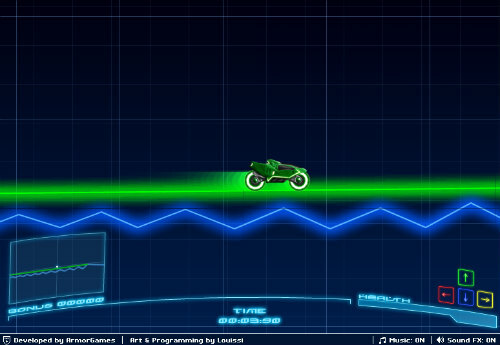 Drive your vehicule in the cyber world and try to finish the tracks as fast as possible. Change your bike color to stand on colored lines, collect bonus points and perform crazy flips! You will always be able to stand on blue lines. Use the minimap to plan your ride.